Tag Archives for " Spoonie "
In this interview series we highlight various chronic illnesses and the amazing warriors who deal with them daily. My aim is to raise awareness as well as celebrate the many ways in which our fellow warriors overcome the limits illness and disability has placed on them. Today I have the privilege of sharing Jodie's "A Day In My Life" interview here on Chronically Hopeful. Jodie has fought hard for years to get a diagnosis - a battle that many chronic illness warriors know all too well. She has a lovely blog where she writes about her health, her goals and victories on her road to recovery. In this interview series we feature the stories of chronic illness warriors around the world, we shine a light on various chronic illnesses and the amazing humans who deal with them daily. The aim is to raise awareness as well as celebrate the ways in which our fellow warriors overcome the limits placed on them. Today I have the privilege of sharing Laura Morningstar's A Day In My Life interview here on Chronically Hopeful. Laura is a warrior who battles against multiple chronic illnesses daily. She has a lovely blog where she writes about health and fitness, books, family, music and more. Every Wednesday the ME community comes together on Twitter to raise awareness of this debilitating chronic illness. We share recent media coverage, research news, our personal experiences and more. Making new connections and supporting each other. I will post the graphics I shared during the last ME Awareness Hour below. 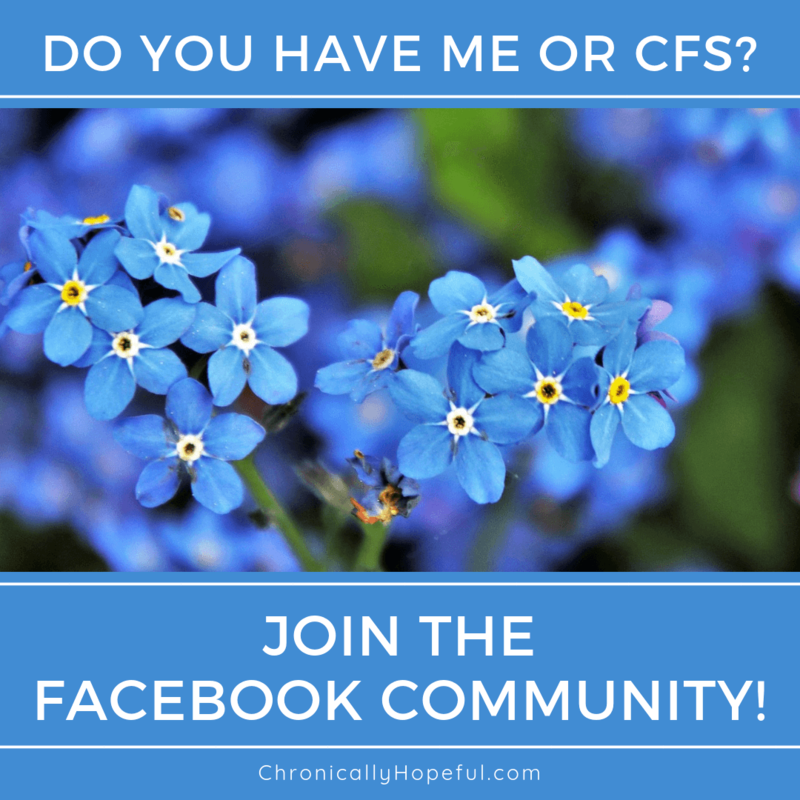 I hope this will help you understand what life is like with ME/CFS. If you have learned something new or find this post might be helpful in any way, please share it or download the images to share on social media and help raise awareness. Sandwiched between 2 hot water bottles, under layers of clothes and blankets, medicated - multiple times, in the dark with sunglasses on, my phone's screen dimmed and the blue light filter on so that I can bear looking at it for a few minutes at a time. This was me yesterday after I had a nap on the sofa where I toppled over after lunch, in a bundle of pain and tears as the previous night's insomnia caught up with me and my body was flooded with pain in every muscle and every bone.